With Ben Bernanke now gone (but not forgotten), Janet Yellen replaces him in the role of being the most important central banker on the planet. However, Ms. Yellen does not begin her role as the first woman to serve as chair of the U.S. Federal Reserve at the most auspicious of times. In its latest version of quantitative easing, the Fed had been purchasing 85 billion dollars a month of bonds with money it prints at will, seeking to keep the economy afloat and interest rates artificially low. However, even the architect of this program, Bernanke, knew that this avalanche of manufactured liquidity was unsustainable in the long term. Thus, the Fed began a process known as “tapering,” in effect, slowly winding down the bond buying program and hope and pray that the world financial system doesn’t come apart at the seams. Thus far, the bond purchasing program has been modestly reduced, initially to 75 billion dollars each month, with an announcement of a forthcoming reduction to 65 billion dollars per month. Despite these modest efforts at tapering its vast money printing operation, the Fed’s moves have already initiated global panic, reflected in wild volatility in equity exchanges all across the world. Stock markets, bloated by easy money printed by the Federal Reserve, are showing their fragility even during this initial, early period of monetary tapering. Even more worrisome than the wild swings on Wall Street and many other stock markets has been the impact of tapering on major emerging markets. At its peak, quantitative easing had the effect of putting into the hands of major investors cheap money, but with virtual zero interest rates at home . The result of all this was to send this horde of cheap U.S. dollars overseas, where a higher rate of return was offered by riskier emerging markets. However, the onset of tapering points to higher interests rates in the future for the U.S. economy, leading to the start of a process of repatriation of those cheap dollars back to the United States. As the process begins, emerging markets are already feeling the pinch, with nations such as Turkey, Brazil and South Africa beginning to incur fiscal pressure, leading to significant runs on their currencies concomitant with a rise in interest rates. Fed Chair Yellen will now face the daunting task of unwinding the monetary mess created by her processor, supposedly for the purpose of saving the U.S. economy from the mistakes made by past policymakers, including former Fed Chairman Bernanke. As we are witnessing with the increasing fragility of emerging markets, the future policies of Yellen will have a decisive impact on the entire global economy, for good or ill.
With the Dow Jones having reached 14,000, it can be said that the worst losses on the index since 2008 have been made whole. 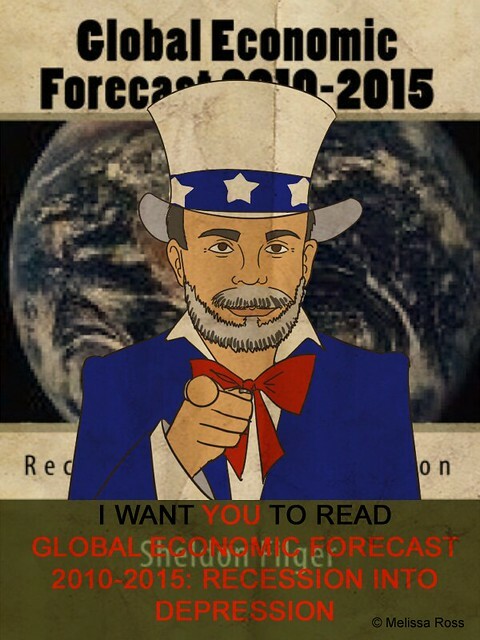 But does that mean the global economic crisis is over? Hardly, as what we are seeing on Wall Street is totally unconnected to the real economy, American or global, as most economists and experts realize. The Dow Jones rally is a product of financial engineering, as opaque as any mortgage backed security, courtesy of the U.S. Federal Reserve and its chairman, Ben Bernanke. While the rally on Wall Street has been occurring, unemployment in virtually every advanced economy, including America, has remained at historically high levels, despite unprecedented deficit spending by governments. 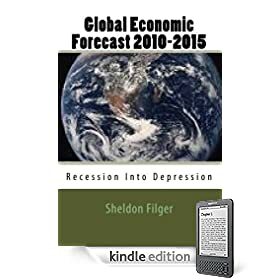 With austerity now replacing stimulus as the mantra of policymakers in the United States and Europe, there is no realistic likelihood for any meaningful reduction in the unemployment rate in the U.S., Eurozone and U.K. in 2013. Currency wars are being waged by desperate governments, as economic strife leads to political unrest and instability, and geopolitical tensions threaten to blow up what remains of an anemic global economic recovery at anytime during the next twelve months. Yet, despite the dire straits and fragility of the real economy, central bankers worldwide, but especially the Federal Reserve in the United States, have succeeded in raising equity valuations with all the deft cunning of a snake charmer. By design, the Fed, spooked over a moribund economy that is saturated with sovereign debt and enfeebled by incompetent policymakers, has deployed monetary policy for one purpose; to create the mother of all asset bubbles, right on Wall Street. Fed Chairman Bernanke has imposed an essentially zero interest rate policy, or ZIRP, for what seems an eternity, with the objective of punishing savers and fixed income investors, and forcing them to plow their money into equities in search of any yield above real inflation, irrespective of risk factors. The brokers on Wall Street are obviously delighted. But this stock market engineering by Ben Bernanke can only work in the long-term if the real economy recovers. Failing that, there is the old Newtonian law of physics; whatever goes up must surely come back down to earth. It appears that the European Central Bank under the leadership of Mario Draghi is following in lockstep with the policy prescription devised by the Chairman of the U.S. Federal Reserve, Ben Bernanke. Just as the Fed expanded its balance sheet to over $2 trillion, in the process becoming the lender of last resort to U.S. banks that would otherwise have been insolvent without the cheap credit from Bernanke (and changing accounting rules from “mark to market” to “mark to fantasy”), the ECB is now doing exactly the same in the Eurozone. Already, through its stealth quantitative easing program, the European Central Bank has expanded its balance sheet by more than $1.3 trillion, thus preventing Europe’s banks from collapsing due to the weight of worthless assets they hold in sovereign loans to insolvent (and defaulting)nations such as Greece, along with Ireland, Portugal, Italy and Spain on their balance sheets. It is no surprise that many investors, and certainly all the banks, are cheering central bankers such as Bernanke and Draghi. They seem to ignore the fact that if money printing by central banks were truly an effective method of restoring genuine economic growth, than counterfeiting would be legal for us all, and not just the trans-sovereign central banks. It appears that the ECB is abandoning its policy of monetary prudence, and imitating U.S. Fed Chairman Ben Bernanke in running its printing press wildly. Mario Draghi, ECB boss, has made available cheap loans to European banks experiencing liquidity problems. In response, more than 500 European banks stampeded to the ECB discount window, and have borrowed nearly 490 billion euros, equivalent to $643 billion USD at current exchange rates. Clearly, the European banks had desperate need for new capital, while the Eurozone politicos hope the banks will use the newly minted euros to buy European sovereign debt. Nouriel Roubini I think described this rather nicely as in essence quantitative easing and stealth debt monetization. As with Ben Bernanke’s repeated bouts of money printing, I don’t think this new loose monetary policy by Mario Draghi will avail itself of any meaningful results. Since the global financial and economic crisis was unleashed in 2008, money printing by central banks has been a symptom of the problem, not its solution. As all but the most gullible no longer have faith in the European politicians to resolve the increasingly deadly sovereign debt crisis among the PIIGS nations in the Eurozone, the last ditch hope is now resting with the European Central Bank. The new president of the ECB, Mario Draghi, is under increasing pressure to abandon the bank’s defined mandate to maintain price stability, and to instead become the Eurozone’s lender of last resort. It can only do that by firing up its printing press, and conjuring new euros out of thin air. Only Germany, with a long historic memory dating back to the massive monetary inflation of Weimar Germany in the early 1920s, remains in opposition to the ECB unleashing its printing press. Otherwise, politicians, hedge fund managers and investors are demanding that the ECB flood the world with euros. In their eyes, inflation is preferable to a deflationary recession, and the inevitable devaluation of the euro resulting from monetary creation would cheapen European exports. All a good thing, so they claim. No wonder Mario Draghi is being cajoled into becoming the savior of the European monetary union, and possibly the global economy. My take on the ECB becoming the lender of last resort? I think we have the evidence of what would likely occur right in front of us. In the U.S., the Federal Reserve under the direction of its chairman, Ben Bernanke, has been in the money printing business since the onset of the current global financial and economic crisis in 2008. The Fed has been in many cases the lender of last resort in America, buying everything from U.S. Treasuries to toxic assets from banks and companies, while flooding the land with instantly manufactured liquidity and maintaining a zero interest policy at its discount window. We have all seen how effective such a policy measure has been in the United States. Bernanke’s record includes unprecedented fiscal deficits, many state and local authorities in the U.S. tottering on the brink of bankruptcy, unemployment levels not witnessed since the Great Depression of the 1930s and an economy functioning at stall speed and about to enter a double-dip recession, despite unprecedented levels of monetary, not to mention fiscal stimulus. If the European Central Bank follows in the footsteps of Bernanke, I don’t see how the results will be any different for the Europeans. Printing money may sound attractive to the desperate, but it is at best a short-term panacea, which solves nothing in the long run, and creates its own set of complications and economic distortions. Ultimately, a printing press cannot correct the flawed concept of a single currency for a multitude of different political cultures and economies.